Our Indianapolis flooring showroom has chosen another area rug winner: LaTasha Brown from Indianapolis, Indiana. 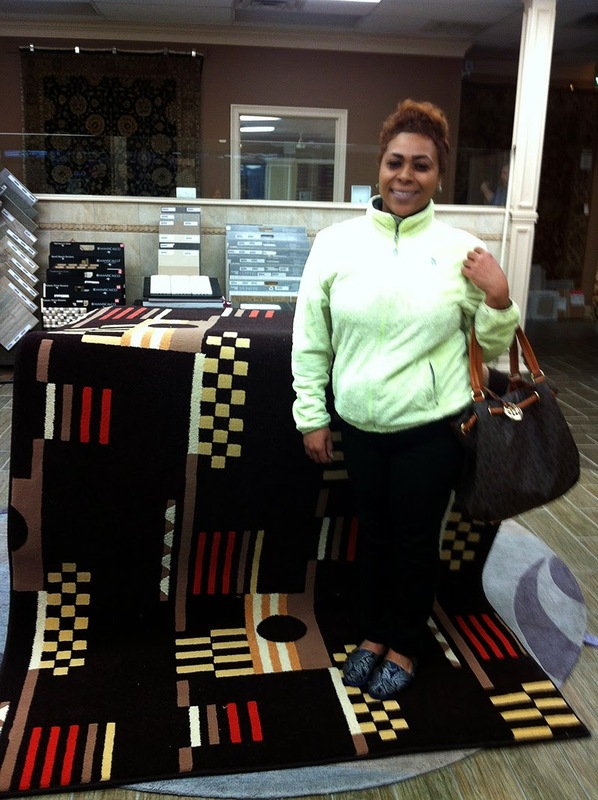 After LaTasha's name was randomly selected from our email list, she stopped by our showroom and picked out her free rug. LaTasha chose a wonderful geometric print rug that she planned to put in her bedroom. 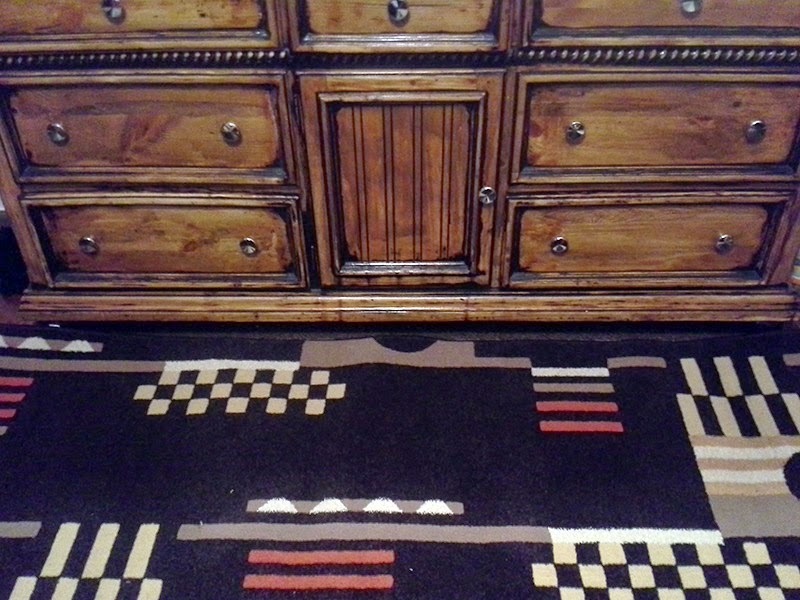 Afterwards, LaTasha sent us a photo of how her new area rug looks in her home. Looks great, LaTasha! If you’d like to try your luck at winning a free area rug, enter now for a chance to win in our monthly giveaway. We select a new winner every month and will notify him or her by email or phone call.